Vans 'Checkerpoint Capsule' Celebrates Iconic Pattern — strictly waffles. Staying true to its spirit, the new Vans Checkerpoint Pack illustrates how the pattern has evolved, from Sean Penn’s character in the 1982 film Fast Times at Ridgemont High to a device for underground rebels—just like Vans, the iconic motif is for everyone. The checkerboard pattern’s free-flowing progression and no-velvet rope outlook reflects Vans’ thriving legacy in design, and is emblematic of the brand’s creative expression. 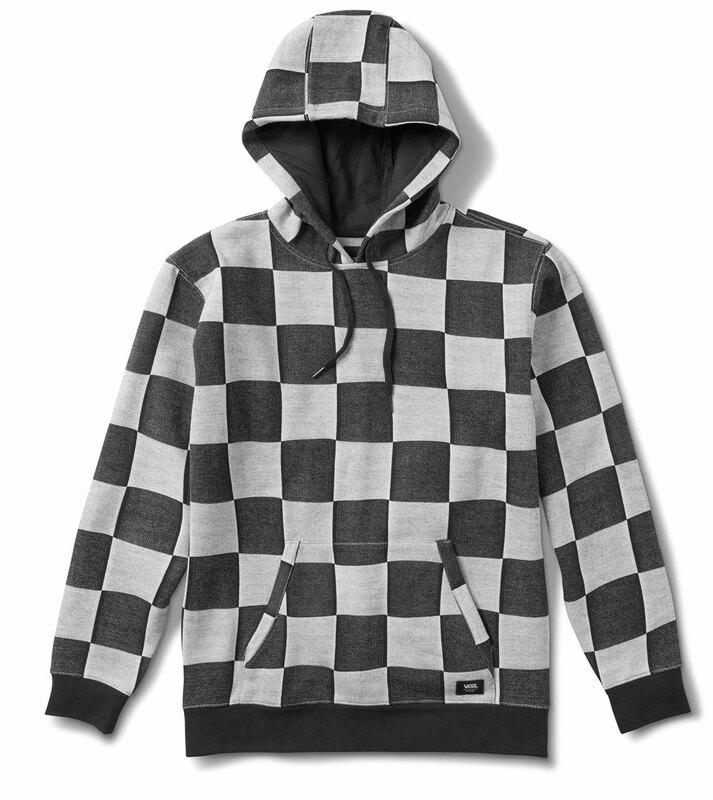 The Checkerboard print revs up a long sleeve tee, adds artistic flair to a fleece hoodie and dimension to Vans’ accessories. Collection highlights include the Checkerpoint long-sleeve jacket with a custom checkerboard taping on the sleeves, a soft bluestone Authentic Chino Pro pant with a checkerboard taping down the leg, a black and white Checker Jacquard thermal pullover, and a black Authentic Chino taped pant. For a complete head-to-toe offering the collection incorporates the Taped Checker Pullover, a French terry pullover with the custom checkerboard taping along the sleeves, and the Hamilton, a two-toned heavyweight flannel and the “Off The Wall” Jacquard short sleeve featuring the “Off The Wall” label on the collar. The Vans ‘Checkerpoint Capsul'e’ is available now at Vans.com. Check your local Vans for availability.